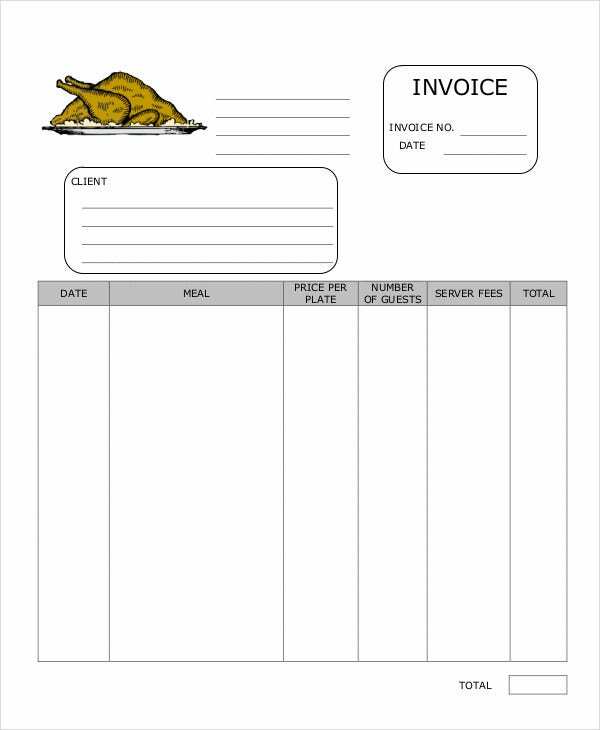 You can find a need for different kinds of invoices for practically any kind of business. 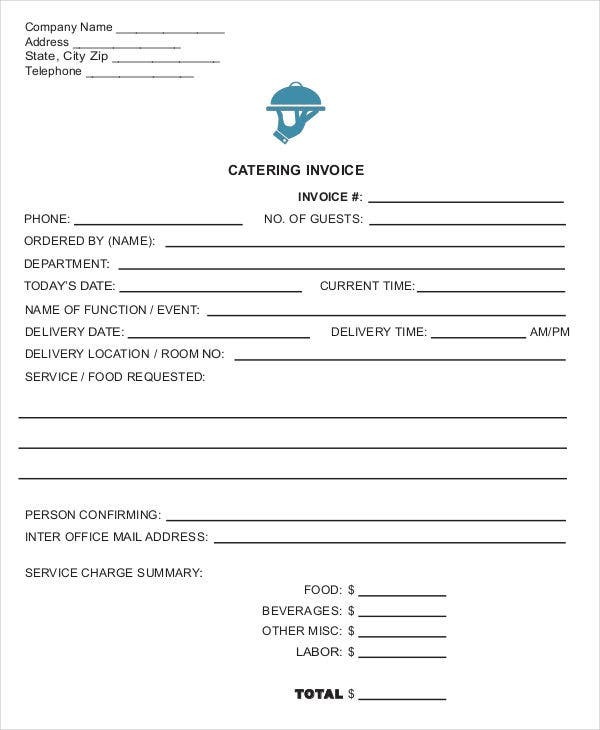 Many people might first think of the retail business, which would need tools like payments invoices, but you can also find invoices in other businesses such as catering, which would also have their own services to be charged. 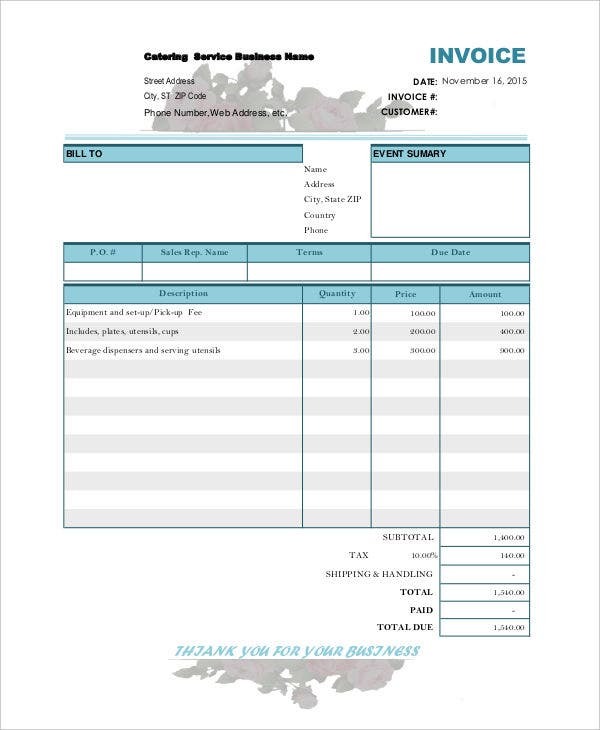 Of course, there are always some things to keep in mind so as to make your invoice samples proforma invoices. Even if you were to use a template to help you, then you would still need to keep certain steps in mind in order to use such tools properly. 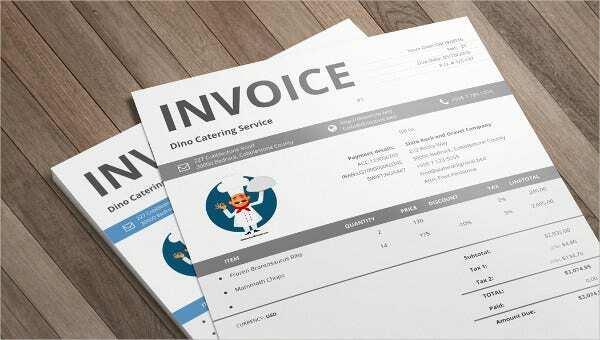 How to Make a Catering Service Invoice? 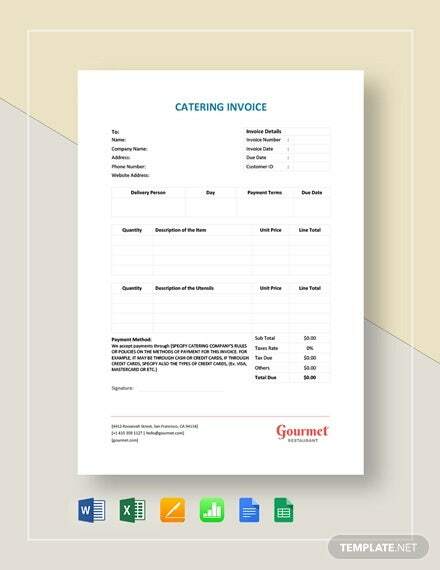 When using particular invoice receipt templates, there are some steps for using them properly, and that includes catering services invoice templates. 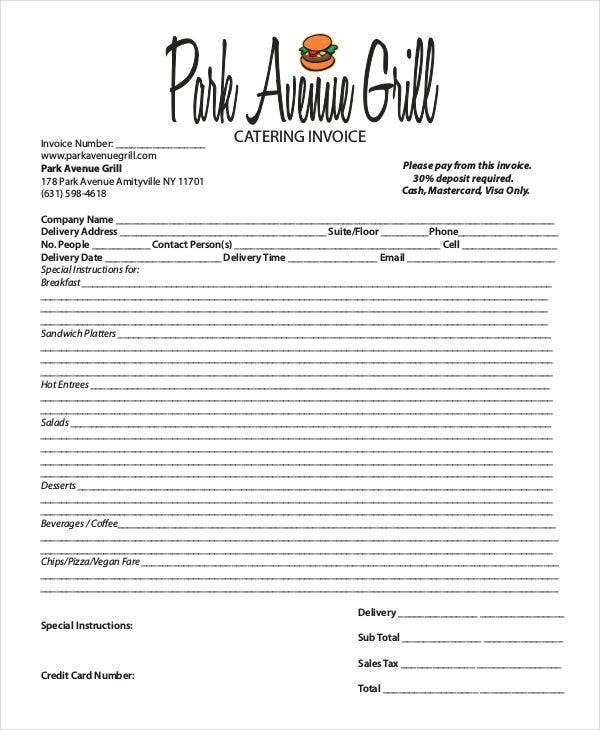 First, be sure to start by including the names of the catering company and client at the top so as to list those properly. 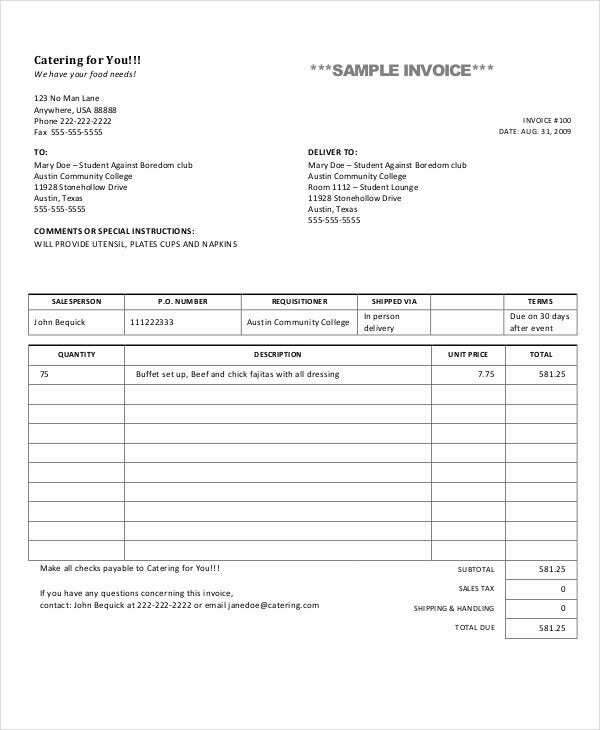 Also include a unique invoice number for each invoice. 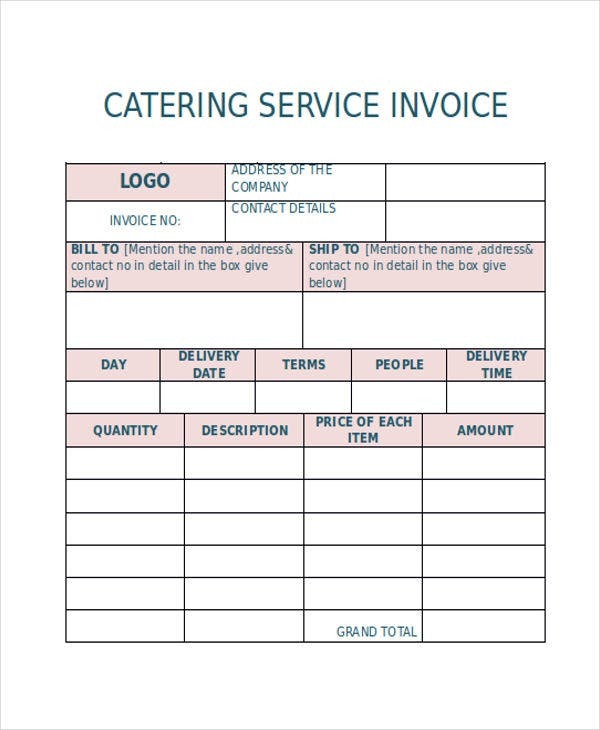 When creating the body of the invoice, create a table, and include space for each item and other details such as description, quantity, and price. Last, include space for a total, as well as other incidental costs. Also mention payment details, such as payment methods and deadlines. 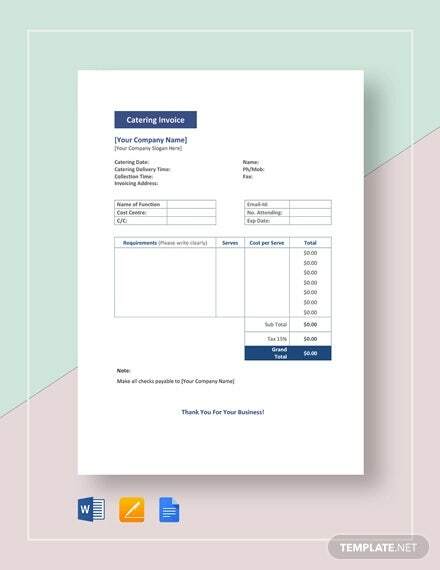 Like retail invoice templates and blank invoice templates, this kind of template can provide you with all kinds of conveniences such that it would be a wise choice to use them. Easy calculation, as all the items, prices, and quantities are listed. This allows both parties to easily tally up totals for the sake accuracy. Convenience of payment, since payment method and deadlines can be included. This can make the details of payment clear to the client. Easy record-keeping, as the details of the transaction can easily be listed, including prices, quantities, dates, etc., making logging easier. Ease of contact, as it is fairly easy to contact one another in case of disputes. 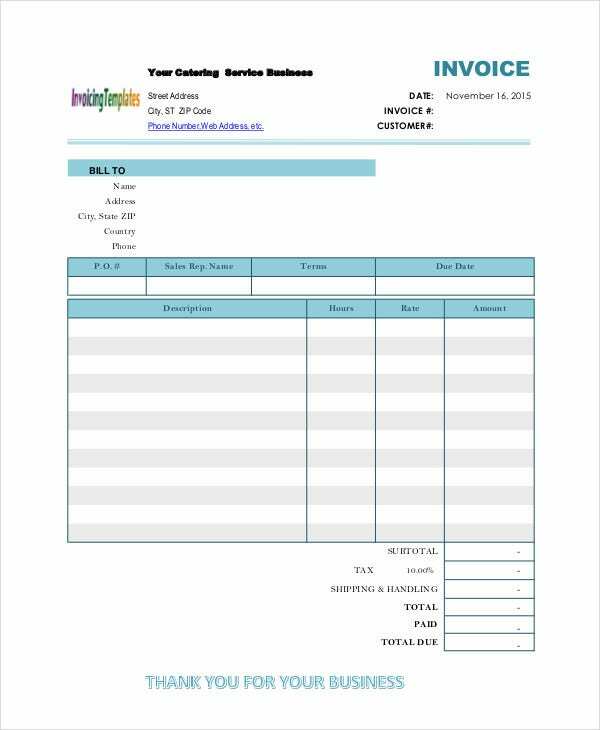 When it comes to using convenient tools like free invoice templates and professional invoice templates, there are always a number of tips that can help you use them to their utmost. After all, since such tips can prove themselves invaluable, it would be wise to take advantage of them yourself. Never forget the details. This includes such things as the invoice number and the dates, as these can be vitally important details for various reasons. Be specific. This usually has to do with ensuring that the dates and prices are correct for the sake of accurate pricing and record-keeping. 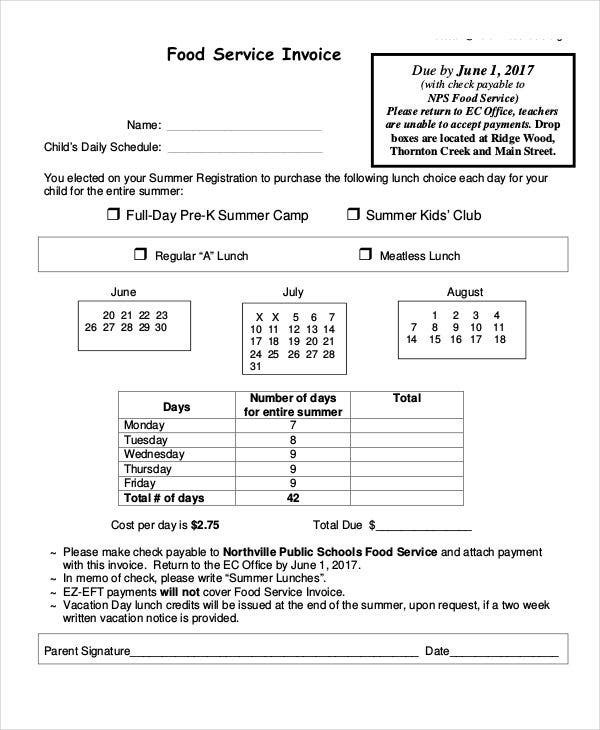 Be sure to include a list for tallying. This is another measure that allows you to make sure that your pricing is accurate, as well as allowing clients to tally your prices for themselves. Double-check all the details first. While this applies to dates, this is also applicable to things like contact information and invoice numbers so as to make sure that clients have an easy way to reach you. And if you need other templates for other purposes, then it is a fairly simple task of locating and downloading them from elsewhere on the site.